KUER Physiotherapy (formally the Mike Squirrell Physiotherapy Clinic) in London was founded in 2001 to provide optimal diagnosis, treatment and advice for Londoners and UK and international patients. All our practitioners are highly trained, experienced and professionally qualified and have been personally chosen by Mike Squirrell for their high levels of diagnostic and therapeutic ability. Our practitioners are state registered with the Health Professions Council (HPC) and members of the Chartered Society of Physiotherapy (CSP). In order to offer you the highest standard of care, we maintain excellent communications and patient referrals with a wide and long-term network of NHS and private General Practitioners, Orthopaedic and Neurosurgeons as well as Pilates and Yoga Teachers and Athletics, Sports, Dance and Exercise Professionals. 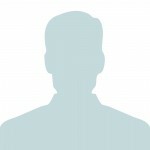 "I have seen Cuong for a number of issues over the last 12 months. He's friendly, professional and explains things so that you can understand whats happening and how the treatment is going to help you. Most importantly he has helped me with whatever issues I have had and got me back to what I want to be doing as quickly as possible. Thanks Cuong"
"Cuong is fantastic. Professional, friendly, empathic, and most importantly for me, he has helped bring comfort back into my day. I've had a residual plantar fascia and ankle problem from my Australian Rules Football days but thanks to Cuong, my condition continues to improve. He is also pragmatic and manages my expectations superbly which is no small feat."  At Mike Squirrell Physiotherapy & Sports Injury Clinic, we assess your situation in the context of your needs and map out a path to achieve and maintain your health and vitality. For example, you may consult us due to headaches, spine or leg pain. Firstly, we need to understand what is stressing your body and causing you to not function correctly. Secondly, we fix the problem with physiotherapy treatment and guide you back to full recovery. Thirdly, we create a strategy that you can follow to stop the problem reoccurring and allow you to stay healthy and vital. It is usual for us to treat multiple health problems at once for all our clients. This may range from headaches and back pain, or lack of energy and sciatica. However complicated your health concerns, our integrated approach ensures the best orthodox and complementary health therapies will be used to get you back to health as soon as possible. For more information on your first visit, please click here.